To be honest, I was amazed by the scale of the conference (which is called MITBCA in short). It was fully funded by the Ministry of Tourism in Malaysia with the opening speech by the Minister herself. 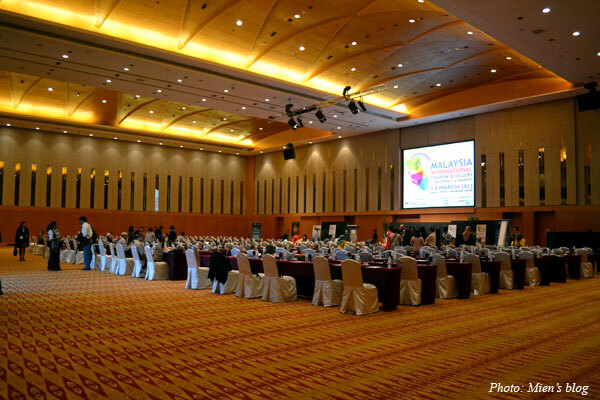 The organizers flew many speakers from Philippines, Cambodia, Indonesia, Vietnam, India, Australia, US, South Africa as well as other parts of Malaysia to Kuala Lumpur, provided them with accommodation in a 5-star hotel, hosted the 2-day conference in KL Convention Center with refreshments, tea breaks, lunches and a gala dinner for free to all participants. THAT must be huge spending! 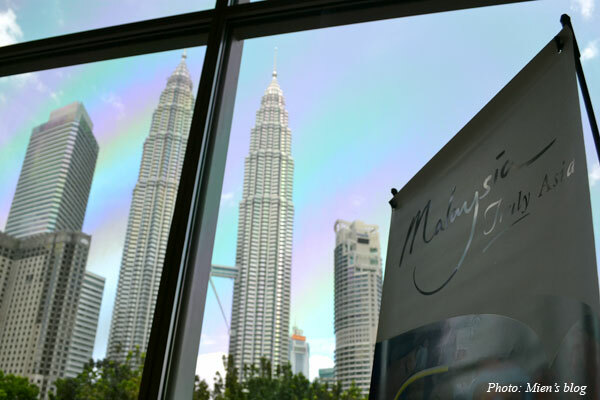 But that’s not all, the Malaysia Tourism Ministry is very active, even “aggressive” in promoting the country’s tourism industry. They are funding and organizing an extensive list of festivals and activities throughout the year to attract tourists. They are also present in all the social networks including separate Facebook pages to promote Malaysia tourism to different countries in their local languages (This is the page for Vietnam). What’s more? They host events to honor social media experts, writers, and bloggers such as this MITBCA, because they are fully aware of the “power of social media” as said by the Minister. I was so thrilled by the Minister’s opening speech. She was a great public speaker who conveyed amazing enthusiasm and inspiration to the audience. And isn’t it wonderful that she’s also on Twitter?! So what is the result coming out of all those efforts? It must be surprising to hear that Malaysia is now number 9 most-visited country in the world (the only other Asian country in the list is China) and Kuala Lumpur is the number 4 best shopping destination worldwide (only after New York, Tokyo and London). All of this makes me think what young generation in Vietnam should do to promote our own country? Vietnam is beautiful, I think no one will deny that. We have marvelous mountains, waterfalls, beaches and a lot of historical sites, so why are we behind? Reasons at a macro level include: Vietnam was totally ruined after the war 30 years ago; The tourism infrastructure and services are still under construction; Visa is not provided on arrival, etc. etc. But while waiting for the Government to work on those issues, what can each individual do to help? Very easy! I would say: Show more, speak more, write more, photograph more, engage more, share more and BLOG more! Obviously we can’t avoid a few irritated travelers who want to use their blogs to vent, and in this case it happens to be a well-known blogger who has very good ranking on search engines. The topic “Blogger should or should not write negative/discouraging things on their blog” needs a whole new lot of discussion so I just skip it for now. However, this probably wouldn’t happen if Vietnam had a good base of travel bloggers writing about the country’s tourism in English like in Malaysia or Philippines. So what the travel blogging scene in Vietnam is like? Well..
1. Vietnam currently doesn’t have many “real” bloggers. People are dependent on micro blogging on Facebook, which doesn’t show on google search. 3. Local bloggers are blogging mostly in Vietnamese, and even a few bloggers who are writing in English rarely write about traveling in Vietnam. This may take some time to change.. But I do hope that the change will come fast, just like every other thing in Vietnam, a country described by many travelers as “bustling”. I hope we will soon have more Vietnamese bloggers writing about Vietnam in English and to be honest, who can write about our own country better than ourselves, the “locals”? Actually, I have been trying to encourage more friends to blog (and also to tweet), though the current reaction is not very positive, not everyone is confident about their English writing skills. However, blogging is not that difficult, taking into consideration that there are a lot of “photo blogs” in which words are minor and people even love them more than long and wordy pieces. Number 1 tip for all bloggers is to add images, lots of them; and in tourism blogging, images are extra important. Coming back to Kuala Lumpur and MITBCA, it was such a wonderful conference and a great time! I learnt so much from other speakers and also made a lot of friends! 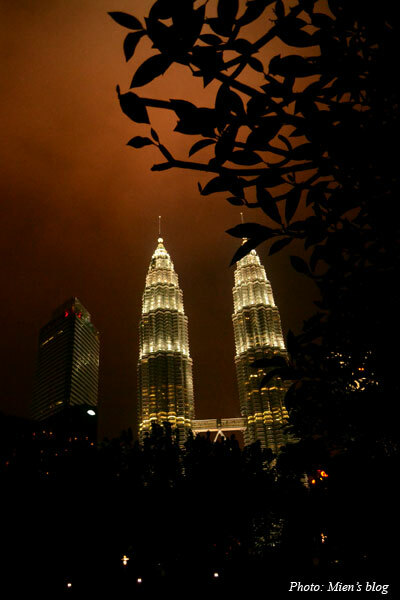 However, there is one confession to make: so far the only place I have been to in Malaysia is Kuala Lumpur (twice). But I promise that I definitely will come back for Penang, Langkawi, Sabah, Melaka to experience the best of “truly Asia”. In the mean time, just two more tourist’s shots of the Petronas Twin Towers to show.. Photos of the MITBCA 2013 can be found on their Facebook Page. Thanks to Shane Dallas – The Travel Camel – for pointing this album to me. Great memories! Thanks Mien, another reason for me to be one of Vietnamese bloggers to blog about Vietnam tourism. Btw, did you find our blog http://www.citypassguide.com/vietnam-travel-blog on the first page for keyword “Vietnam Travel Blog”? Nice to meet you, Mien. I have just started blogging as I am inspired by Mekong ICT Camp in Thailand (actually I write before but not blog). I intend to write blog in English, about traveling and lifestyle in general. Then I accidentally come across your blog and totally agree with you about how we bloggers can help Vietnam’s tourism, and about adding photographs to make it simple. Hi em, nice blog you have! Keep on blogging and you’ll have a chance to join such blog fest someday soon :-). One suggestion (or two..) please add an “about” page and let people know how to contact you. And go twitter too? 😉 And are you based in Hanoi, HCMC or elsewhere? 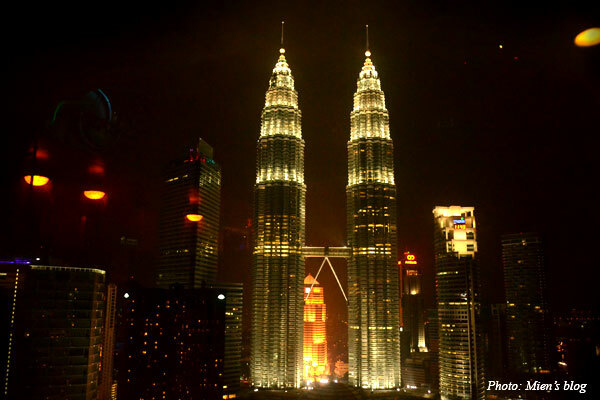 I know that Malaysia is a very great destination for enjoy a travel trip. I read this blog, and also got tot know much more about it. Thanks a lot for sharing. I followed your blog about 2 months ago and some of your blog posts did pin in my head. This post in particular partly pushed me to set up a blog. Your post “The West is the best. or is it?” helped me get to know Minh Do in Medium. I started to use Medium since then. The whole process of articulating thoughts and sharing it with many people is so satisfying at a personal level. At a macro level, I believe the blogging scene will be very vibrant in the future. I would be very happy to be a part of it and encouraging my friends to do the same. Nothing wrong with more blogging. 1) Vietnamese see their own country with different eyes than foreigners. Different expectations, different interaction with local “service providers” (taxi drivers, sellers, restaurants, hotels …), different perceptions (i.e. Vietnamese would consider something “normal” what foreigners wouldn’t). 2) I am still wondering about a real comparison between neighbouring countries and Vietnam. KL is high on shopping. Vietnam with its typically rip-off sales staff can’t compete there. For me it seems like there is a lack of destinations – or reasonably easy access. Hanoi is “done” within two or three days usually. How long can somebody spend in KL, Bangkok, Manila, ….? What other reasons why Malaysia, Thailand, Indonesia, Philippines etc. have more return customers? 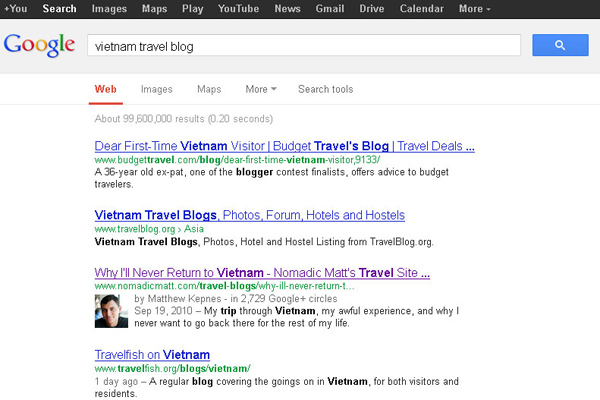 3) More blogging might bring more visitors to Vietnam. However, Vietnam’s number one problem is the extremely low number of return visitors. Blogging doesn’t change that at all. The guy who comes up high on Google obviously didn’t need a blog to come to Vietnam, and a blog will not change that he doesn’t want to come again. 4) Actually, blogging towards “inside” would be necessary. Make it clear to Vietnamese that we have a very low number of return-visitors. That those who come not necessarily tell others to come, due to their bad experience. And if Vietnam wants to get a bigger piece of the cake, everybody has to change. But then again, those who would need to change the most don’t read blogs, and if they do, they don’t care. Who Vietnamese cares more about long-term advantages for the whole country (i.e. including all the millions of strangers) than about the immediate buck at stake? Thanks for the comment. Your 4th point is the most notable of all. The others are just so so (sorry). Like, the 1st point is applicable to every country, not just Vietnam. And 2nd, KL’s shopping is doing well thanks to lots of malls and luxury goods that even Vietnamese ourselves are customers of, so certainly we can’t compete. And honestly, every city can be “done” in 2-3 days if your plan is to “do” it in 2-3 days (I always do 2-3 days in whichever city I go to, no more, for example). And 3rd, yes, I’m totally aware, but that is what bloggers can do at least (I already said above). But number 4 is worth discussing. Honestly, it’s true that “those who would need to change the most don’t read blogs, and if they do, they don’t care”. That’s mostly the government. And it seems like here in VN, tourism is not necessarily (yet) in the top priority list. Last year I read this very interesting article: Simple truth: Vietnam just not ‘serious about tourism’ http://www.thanhniennews.com/commentaries/simple-truth-vietnam-just-not-serious-about-tourism-1976.html and I asked the author for his permission to translate into Vietnamese and publish but he refused because of a few cases of bloggers having been arrested in VN. I tried to explain to him that this would cause no harm for myself but he insisted on a no no. But I still find his opinions valuable and more Vietnamese should be reading it. However, most of the travelers I have met told me that they love Vietnam and would totally recommend their friends to come to visit. I guess they were the lucky ones, but besides the luck, I’m sure they also chose to go with the flow and just didn’t let other people’s bad experience become their nightmare. And I’m sure they would come back if they can. to start with your end “if you ever plan to visit VN”…. I am living since 1990 in Vietnam, have Vietnamese wife and family. If you seriously believe that the government is responsible for the low number of return visitors, then you obviously live in another Vietnam than where I live in, and you are talking about another Vietnam than I am talking about. Not much use to argue much further. All the best, and have fun! I don’t understand why you think this is an argument, it’s more of a discussion to me :-). I guess you have lived in Hanoi long enough to have become a Hanoian and adopt “our” grumpy attitude towards everything, unless that is personality #justajoke. I look at Vietnam differently than you do, but it doesn’t mean it’s “another Vietnam”, and if you *really* think I am a naive girl just going around talking nonsense blaming the gov and understanding nothing about what is happening out there then I am sure your attitude is a part of a big reason why the returning rate is so low: That is people’s negative attitude! Even your first comment already showed negativity. Seriously, why? You can’t fix a whole people, or their government, and you don’t need to. Just do what you can, take small steps. And I am doing what I can here. And at least I’m not gonna (unconsciously?) discourage other people with the big fat “However” right on the 3rd line. I don’t have the time to read much blogs. I don’t remember how I stumbled across this article, and I refer only to that one. Yes, I am fully aware that Vietnamese “cheat” also other Vietnamese. Even Hanoians to other Hanoians. There is a huge difference between the “trusted circle of friends and relatives” and untrusted strangers. Read the “Prisoner’s Dilemma” for a clear description. This behaviour is in the current situation absolutely logical and I cannot blame somebody for it. I only say that it hinders the common development. As long as everybody is rice farmer in a region with favourable weather all year round, an extended family (or a village at best) is pretty self-sufficient and doesn’t need to deal much with others. In such a situation there is no need to develop trust towards a stranger. And the Vietnamese religion/philosophy is in the same direction: it is more about the family and the self than about community. In climates that are not that favourable, say middle and Northern Europe, people specialized around 800 to 1000 years ago. Different professions developed. People had to work together with others, outside the family, outside the village, i.e. with strangers. That works only when there is some basic trust. The European system of the guilds helped much. And the Christian religion that emphasises on the community, and about treating and loving everybody the same, even complete strangers. Vietnam starts now only to develop different professions, starts since maybe 2 generations to frequently deal with outsiders. Change goes along, but very slowly. As long as Vietnam doesn’t understand that, (i.e. the present situation as described by the Prisoner’s Dilemma, the lack of “support” by a suitable religion/philosophy), and actively looks for ways to change that, it will take an awful long time to develop by itself. My first idea would be to put the Fatherland Front into the position to drive the change. Make aware, get the issue discussed. The Party and the Fatherland Front have the experience in “propaganda”. Let them use it for the benefit of the people! “Vietnamese tourism firm suspended after boat blaze in Ha Long” (again, probably carelessnes). How do you change that with blogging towards potential visitors? So, you might consider whether you can make aware with your blog. I don’t know about the reach and “power” of blogs here inside of Vietnam. Stefan, I guess your suggestion to me is that: don’t even bother with the blogging, just sit there and wait for the Fatherland Front to take action (not sure when). I think the other 80 million people may have the same idea and no one would ever bother doing anything. And I also have the same question as Son Tung to you: if you have lived in Vietnam that long and had such bad experience, why are you still here? Please understand that this question is not a negative one. We need/want to know what keeps foreigners stay in Vietnam. Even if they complain all the time, there must be something here that make them stay. We all know the negative side, how about the positive? And one more question: you have lived in Vietnam for 25 years and have a Vietnamese family do you consider yourself a Vietnamese (just a part of yourself, maybe) and are you willing to contribute to this country as much as to your motherland? And if you work in the internet industry you’ll know that the reach and “power” of blogs/social media in Vietnam is even better than good. The only problem is a lot of rubbish is being shared nowadays, thus, we need to improve the content on the net. I agree with Stasinos on this point “The government has the connections, cash and resources to do this the way it should be done.” Look at Malaysia and what their government has done for the tourism industry you’ll see. But I also don’t totally agree that “bloggers can do their small part, but that’s just a drop in the ocean”. Of course one blogger is a drop in the ocean, but how about a blogger community like in Malaysia, Indonesia and the Philippines. Believe me they have enormous power! 1) I said “Not much use to argue much further.” which means no point in discussing more. Nothing said about an argument in the meaning of a fight. 2) This is not about a grumpy attitude, but one that comes after 20+ years of studying and comparing Vietnamese history, society, economy, parties, government etc. etc. with those of other countries, especially European ones, but also USA and other Asian countries. I would call it more a des-illusioned attitude. The problem is, that “all of you”, from top (government) down to people like yourself see other countries only from the outside without really understanding what makes them tick. Or, figuratively spoken, you see the dress and think that you need just to dress the same to be the same, without recognizing that the inside body is quite different. Study “social capital”, “prisoner’s dilemma” and a few more things to get a clue about what I am talking about. In short: Vietnam’s social capital is very low. This is the long-term root cause for a number of issues. And it is not something that can be changed quickly. That is a matter of many, many generations if let to develop by its own, and still something of at least 3 to 4 when actively approached. Right now nothing in that direction has started yet. 3) That other article that you quoted has somethings right, some wrong. First he makes the common mistake to think that visa would be a major issue. They are not. Yes, he – like myself – are kind of fed up with the visa procedures here and then makes the mistake to think that tourists have the same negative attitude. Very wrong. Where is the study to proof this? In fact I have to dig out the article again that says that when really asking tourists – cumbersome visa procedures are only a nuissance. I hear guests here in my restaurant talking about visa to other countries where visa procedures are much more difficult and more expensive, and they still want to go there. Sure, visa should be cheaper and easier to get, but that is just one issue, and by far not the biggest one. Then, the author blames the government !!! Should there be a policeman going with every taxi from the airport to twon to make sure that the guests don’t get cheated? BTW: that is real. It happened to me, too, even when going with my wife. Shoudl there be one policeman in every shop to make sure that tourists are not ripped off??? One in each taxi in Hanoi? One with each street vendor? In each restaurant? Then he blames the governemtn that private investors built only hotels without shops and other supporting facilities. Since when are we here in a centrally controlled economy? Is he expecting state-owned shops around the hotels, or what? My own guess would be, that any investor thinks that Vietnamese prefer to go shopping in the market or small shops and that a bigger shop cannot survive from tourists alone. Therefore they don’t want to invest in such shops. Then he writes about “airport rail links”. You go to Bangkok and check how many percent of travelers use the train to go between the airport and the city. Bangkok had many tourists long before they had a rail link. Close to no Vietnamese will use any train that goes to the airport. And to make one mostly for the few travelers who will go with it, will be VERY expensive. A well organized bus system would be much cheaper and better. Besides that, a bus driver (or helper) can help with stowing all the luggage in the busses luggage compartment. There is nothing like that in a train. He is spot on, when he writes that the issue is “culture”. He writes “You can market a tourism destination all you like, but if people go there and have a negative experience, they simply won’t go back. ” With your blog writing nice things about Vietnam, you do exactly that: you market a product that doesn’t deliver in some important criteria. He writes: “Why? Because tourists are not made to feel welcome and are treated as a one-off opportunity to make money.” That concerns shops, restaurant, you name it. Everybody sees foreigners – and especially tourists – as a stupid target to make a quick buck. I had not only one guest who says: Yes, nice country, many nice people, but fed up to feel cheated in every shop, every taxi, every street vendor. One time enough. They might recommend others to come one time to have it seen. But that’s it. Why does my wife say that everything is more expensive when she goes together with me? And, note: With my motorbike etc. it is pretty clear that I am not a tourist. Is this how to make foreigners feel welcome? The ones who would need to read a blog and to start a change is not the government, but all the shop keepers, taxi drivers, street vendors, restaurants etc. etc. etc. Sure, you can say you take just a small step in the right direction. Yeah, you can bring – with a lot of effort – a cup full of water, and a single seed and try to plant in the desert, where in fact a huge irrigation system would be needed to produce anything meaningful. Thanks for the long comment. This is a lot clearer on what you wanted to say, I appreciate, thanks. Second, I totally understand what you mean by the change of “all the shop keepers, taxi drivers, street vendors, restaurants etc. etc. etc.” but who do you think can do it? Honestly, not only you guys expats can feel that, we, locals, are totally aware, because we also suffer from lots of the discomfort you mentioned. Don’t you think the Saigonese traveling to Hanoi not getting cheated by the taxi drivers? And even I myself got loads of bad experience when living in Saigon. Those scammers do not only focus on foreigners, they focus on every alien who they know they can cheat. Sad, yes, but I’m sure it’s not the story of mere Vietnam. So far I haven’t been to many countries, but compared with people in the countries I have been to, Vietnamese are among the most hostile and negative, yes, I’m fully aware of that. But then again, who do you think can change 80 million people? Can’t be a single person, I guess. So we have to wait and put hope in the next generations but, honestly, I’m not that positive seeing lots of young people with wrong attitude nowadays. Yet, again, again, hope is important, and so I write, and do what I can, even if that is just “a cup full of water, and a single seed and try to plant in the desert”, at least I know I’m trying, and if I’m lucky I can inspire others to do the same, just like I’m persuading people to start blogging here. Third, are you sure my blog only “writing nice things about Vietnam”? I remember not, I thought I was being quite honest. I do use nice photos, but if people don’t read (actually if they are lazy enough not to read, which is amazingly common nowadays – I only need to look at Hanoi Grapevine’s readers, both Vietnamese and foreigners, to see that fact) and only look at photos to make assumption then that’s not the blogger’s fault. I provide information and experience and tips and if they decide to do the same thing they know who to ask. This blog that you are seeing (not this article, I mean my blog) is not really targeting Vietnamese readers, it’s more for foreign visitors. For Vietnamese readers, I’m not writing in here. I’m still looking for the right channel, sometimes the Hanoi Grapevine, sometimes elsewhere. Anyway, I’m happy that I’m trying. If I can’t change 80 million people (certainly not) I can still change some people, and I consider those small steps my own success. I figure, it’s worse if everyone thinks “well, we can’t make it so don’t even think about trying”. It’s interesting to learn that Stefan Probst has been living in Vietnam since before I was even born after all the negativity he has pointed towards the country. Obviously the low return rate of tourists reflects a bleak picture of tourism in Vietnam but if you recall, Vietnam has just opened up itself and accepted foreign tourists since early 1990s after a bloody long period under the self-sufficient communism regime and therefore it makes no sense comparing this nascent industry to those having been around for decades. Haters gonna hate and surprisingly (?!) despite the humble number of tourists who said to never return to Vietnam, the visitor figures throughout the years are still on the rise. Since when has the return rate mattered that much? The driving force here is the economic power, without which shop owners would keep overcharging, taxi drivers would keep scamming and street vendors would keep cheating tourists. With more income, no one would bother ripping tourists off for just a little amount of money just enough to get by in expensive cities. Singapore, a tiny island nation, has striven to become a well-known tourist spot with literally everything artificial built up just by a matter of money. Now the “Invisible Hand” theory by Adam Smith that refuses the state intervention in the economy and advocates a free market economy is no exception to tourism. We can do nothing to thought-control all the participants in it. So the top priority for the government is to improve the economy as a whole, while leaving room for the tourism industry to operate itself and learn from mistakes. Who knows in a few decades’ time whether we would be with hindsight regretting a not so touristy and hidden-charm Vietnam as it’s being now – when all the charms are exposed and the industry has become unnaturally efficient and organised. If a country wants to attract tourists, it must promote itself. This should be done by the government. The ministry of tourism (if there is one) should visit any of the 100s of tourism fairs held in many countries around the world, or by advertising on global tv networks or by a million other ways. Yes, almost everyone is trying to profit from tourists. Is there a country on the planet where tourists are not being ripped off? I have been to Thailand, China, Hong Kong, Vietnam, Lebanon, UK, US, France, Italy, and many other countries. If you are a tourist, you will pay more. Hell, come to my country, Cyprus. A small island in the eastern mediterranean sea in Europe. Tourism is 65% of the country’s income, but still the prices at the tourist locations are 2 or 3 times more expensive. I buy a 0.5 litter water bottle for 0.50 cents and at the tourist places it’s 2 euro. But still tourists keep coming and returning. Why? because we have sun 350 days a year and this is exactly what we promote. People who come here come for the sun and the beaches. Nothing else. The ministry of tourism visits every major tourism fair there is and promotes… sunshine and sea! The visa for entering the country is no excuse or reason for not visiting. To enter China, I need a formal invitation and with that I need to go to the embassy and pay to get a visa. Still, I did this 3 times so far. If you wanna go somewhere, nothing will stop you. Vietnam is a gorgeous country, with beautiful scenery amazing views and great people. For you, living there, the people might be rude and rough and negative, but for a tourist who comes there for the a few days to enjoy the country, this is not important. I never even noticed this. I have been to Vietnam twice and planning my 3rd trip already. All the people I met were nice, polite and smiling. I don’t care if the pavement is full of parked bikes, or that I have to bargain every single price, or that every time I cross the road my life is in danger. It’s part of the package. The Vietnam experience. Whoever wants to come to Hanoi and feel like it’s Dubai, should not come in the first place. In my opinion, these beautiful views of the country should be promoted. Nothing else. The problem is that Vietnam is NOT promoted by Vietnam. I’m not talking about the bloggers and the locals. The government should be doing this. The bloggers can do their small part, but that’s just a drop in the ocean. The government has the connections, cash and resources to do this the way it should be done. I have been to Hanoi, Sapa, Mai Chau, Lao Chai, Mekong Delta, Halong Bay and a few other places. These places are AMAZING. The scenery does not exist anywhere else. But still very few people know about these places. Image is everything. All Vietnam needs is a good promotion plan. Yes, Stefan, they see you as a tourist because you are not vietnamese. Doesn’t matter how many years you live there. I have a cousin living in Germany for more than 40 years and they still treat him like a foreigner. In your case, you even look different than the locals…! What I liked at Cyprus is the many destinations, easy to access, good signboards and brochures. Makes it easy to visit even without a guide. And – Cyprus has, compared to Vietnam, the advantage that it is quite small, i.e. all the attractions are quite close together and can be done easily with a rented car. But Vietnam is pretty different. Somethings can be copied, many not. You write more or less that a low number of return-visitors doesn’t matter much, as long as there are enough first-time visitors (which is not the case anymore, but I wrote that already). Your attitude exactly points out the problem. As long as there are enough suitable destinations (which I am not yet sure about – see what I wrote), the return-visitors come outomatically. It is not an either-or. A low number of return visitors means that the first time visitors were not happy – or at least not happy enough – or more happy in other destinations. Your attitude “I don’t need return visitors, as long as I have enough first-time visitors” is exactly the one that leads to rip-offs, cheatings, etc. The “government” (which was in your case actually not the government, but some office) can do sometimes something for good publicity, but it cannot apologize to each and every customer who feels cheated. OK, some can take it and come again, some others don’t like it and prefer to go to countries where they are treated better. Some people come for the scenery, some expect to be treated nicely. And the other problem with your attitude is, that instead of listening to reasons and consider them, you just say: ah, another stupid foreigner who knows nothing just is negative. Again, something like that will not change anything and will prolong your low status more and more. I fully agree that one reason for the low return rate is that many spots in Vietnam don’t get the attention that they deserve – and many more could be developed. I’ve lived for one year in Limassol (in 2012). I partly agree and partly not what you write about Cyprus. There was a lot in the press at that time that the falling tourist numbers were due to a falling service attitude. Paying more – for everybody, locals and foreigners – at tourist spots is normal, since also rents etc. are more expensive there. And there is of course opportunism. It is not about being more expensive, but about difference between tourists and locals, everywhere, not only at tourist spots. In Vietnam, locals even cheat locals, where possible. Now read your post again. Sorry, but you live in the past. Tourist numbers in Vietnam are not falling anymore, they are sky diving. The 11th month in a row now they are lower than the year before, and higher return rate could help (besides being an indicator for what goes wrong or not). My restaurant is in a tourist street. We had last year at that time much more guests – and everybody in the street says the same. And what you write about a rosy future: You could have copied those lines from and article 10 years ago. (Close to) nothing has changed. Study the “Prisoner’s Dilemma”! Even with a lot of money people don’t change. That is wishful thinking. Stefan- agree! Wld love to hear more about your view on how history, culture, situation makes the viet people as they/ we are today. Son Tung- Singaporean doesnt change because of money, not at all. They have been pretty much the same as they were 50 years ago when SG was founded: simple, honest and kind (mostly), probably due to the fact that most of them came from south china, trying to escape the poverty and the hunger, hence the background of being farmer and doing labour work, hence their nice characteristics/ culture til today. Viet people are the opposite. I think cheating strangers (local + foreigner) is taken by default. I am trained to be skeptical n doubtful since young due to these interactions with my own people. I am later on feel ugly about myself for thinking so when with nice n kind people in foreign land. There should probably be movements, promotions, rules done by the government or whoever able to do to at least create awareness about the ugly traits and how we shld negate them. As for blogs, i think best is to be brutally honest, to includes the negatives and how to avoid them when travel. Even local like me needs it badly. Sometimes we are treated even worse than foreigner. I think your blog idea is possible to develop – “to be brutally honest, to includes the negatives and how to avoid them when travel”. Maybe you can do that? It’s good to have a variety of style on blogging. But negative review is not my style. My motto is if I can’t say anything nice about a place then I will just keep my mouth shut. Like, recently I wrote about my few day visit to Singapore, and after reading my writing again I decided not to hit publish because it was way more negative than my usual tones. I think people have their own preference, so it’s a bad idea to discourage people from doing something just from our bad experience. And I suggest this blog called http://toidi.net/ for your travels in Vietnam – it’s very practical, one of my favorite (in Vietnamese only). Just one thing I don’t understand, why you feel ugly about yourself? For being a Vietnamese? Hope that I just misunderstood your point, because if you really meant it then that was a bit disappointing to hear. Hey, saying negative things doesnt mean discouraging people from doing sth, i meant just to be aware and mindful. Most places have both negative and positive sides, which is what I enjoy to discover when travelling. thanks for the website, will check it out when i have time for an intensive vietnam trip. Your question about myself and my motivations is a very reasonable one. Not only about being nosey to understand why a foreigner who seemingly sees everything negative still wants to stay here, but also it makes good sense to understand a writer and his background/motivations before judging what he writes. So: I have family here, means: wife, two step children, own own daughter. They attended “normal” Vietnamese schools. I am not the kind of person who gets blown away by every wind that changes. I made Vietnam my second – or is it meanwhile my first? – home. Besides some relatives and friends I have nothing in Germany. Times here change. Sometimes better – better economy – easier to find a job – easier government policies, sometimes worse. Sometimes I have a long-time job, sometimes not. But that is the same for Vietnamese, and it would be the same for me in Germany. So what’s the point? How I feel? I am “con re” in my Vietnamese family (i.e. the family of my wife) and I am also “con re” of the society, the country here. I think this sums it up quite nicely: on the one side part of the family, i.e. more than only a guest, but on the other side not really inside the family. The only difference: In my Vietnamese family (i.e. my wife’s late mother, her brothers and sisters, and especially her expanded family in the countryside in My Hao) I feel much more welcome than with the state (aka immigration etc.) here. So, if you like I want that the country / my country where I and my family live does well, If the country does well, I do well. And if the country does well, so do we all here, Vietnamese and “cac con re” alike. Hoa: Pls. refrain calling things that you don’t like as “good” or “bad” or “ugly”. Only because a number of issues are different from other countries doesn’t make them good or bad. One must not take the yardstick of one society’s values and measure another, compeltely different society with it. Not only is it wrong, but also extremely unhelpful to counterproductive. As soon as you call somebody’s behaviour bad, (s)he will go into defensive mode, instead of staying open and possibly be willing to change. 1) If you are not certain that your “transaction” partner is cooperative and doesn’t cheat, your better stragegy is not to cooperate with him, i.e. to cheat/betray him, where necessary. 2) Both sides would on the other side have the much bigger advantage, if they would trust each other and cooperate. So, this is kind of a dilemma. Vietnam is in situation 1), so it is perfectly logical not to trust a stranger. Actually everything else can be suicidal. And therefore you cannot say people are “bad”, or “ugly”, if they behave totally logical. Due to a number of issues (we can talk about that later) Central Europe moved about 800 to 1000 years ago from level 1) to level 2). 1) Climate. The milder the climate, i.e. the more food is available all year round, the less warm clothing is needed, the less shelter is needed, the more easy going are the people. The harsher the climate gets, i.e. people have only a short time to work hard and then to make provisions for the winter, the more they work hard, they plan ahead, are more careful with limited resources etc. You can see those differences in North versus South Europe, in a country like Italy itself (North vs. South Italy), in Vietnam, in Japan etc. etc. 2) Migration. People who leave their home societies to try their luck in new lands are of a different breed than the ones who stay behind. More adventerous, more energy, more driven, more individualists…. You see that in USA versus Europe, even within the US East vs. West Coast. You see it in Vietnam: North versus South. Singapore is an immigration country, therefore difficult to compare with another one. Both factors work together. Usually the climate is stronger than the migration. Again, you cannot blame a society if it developed like this or that, because it is mostly due to external factors. Hi Stefan- thanks for the text, appreciate that. I did prison dilemma but didnt know of no. 2 above think because in the simple context of the dilemma that hardly happens. ‘Climate’ makes lots of sense, as does ‘migration’. However believe the deep-rooted culture does play a part as well but agree to a lesser extent. I ssume with “no.2 above” you mean my statement that both sides would have a bigger advantage, if they would cooperate. Simplified, if the two guys in the “Prisoner’s Dilemma” would be Vietnamese who don’t know each other much, they would blame each other, and both get locked away for a long time. If they would be “Westerners”, they would protect each other and both would get a low sentence only. Urban traffic is a prime example for that: If the people would often just wait a few seconds and let the oncoming traffic first through, instead of trying to squeeze through every small opening, traffic would often flow better, and everybody would be faster in the end. Culture doesn’t evolve in a vacuum, and it is also not a static thing. It is always an interaction with religion, the economy, etc. If the religion changes, so does culture, although fairly slowly. Also, with migration, it often is a mix of the culture of the migrants and of the local population. So, culture is not the reason for a society’s behaviour, but it is the “norm” of a society’s behaviour, and the reason for an individual’s actions.